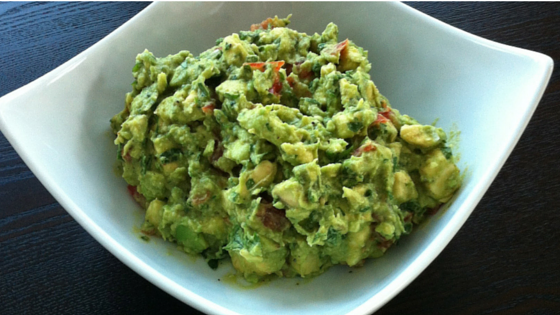 Halve the avocados, discarding the pits and scooping the avocados into a mixing bowl. Add the remaining ingredients to the avocado and mash with a form until smooth. You can also place all ingredients into a food processor and pulse until it is to the consistency that you like.